So yeah, I mean, if you want to read some internet jokes from the websites, about this Mueller guy and his homework, or whatever, here you go. Here’s a lot of ‘em, from a bunch of people who bothered to set up a Twitter thing. They all seem pretty okay, as far as jokes go, even if I don’t really understand what they’re about. Man, this job would make a lot more sense to me if people tweeted this much about that Garfield restaurant, or why they’re angry about Star Wars. You know, regular stuff like that, for all us normal types who don’t have time to learn about the politics. Gimme some football jokes already! These aren’t those. These are tweets about the Mueller Report. If you know what that is, well, good for you, I guess. These jokes might make sense to you. Do you think Mueller’s gonna finally start Russian Doll tonight? Bob Mueller finally gets to kick back and cut loose tonight, maybe put some croutons on his side salad, maybe have a Diet Coke after 7pm! I mean yes the Mueller report but SUPERNATURAL IS ENDING let’s not bury the lede. 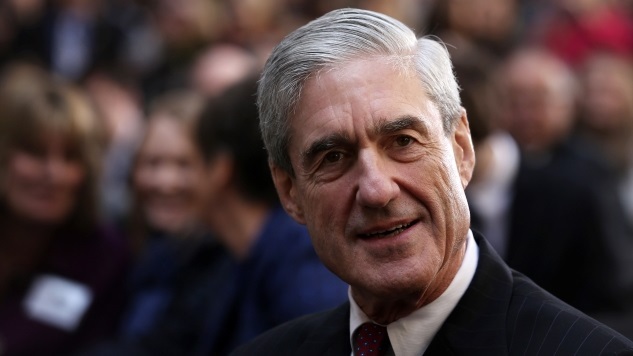 Whoa, the Mueller report is a detailed treatise on how to pronounce “Mueller”! Oh hell yeah! Excited to find out if Trump is bad, baby! Looking forward to hating Mueller soon. I see everyone’s being pretty chill about this Mueller thing. If Mueller really released his report, why aren’t all his friends plugging it on Twitter?